Famous for its abundant beaches, wildlife, and sporting culture, Australia is almost synonymous with summer. Check out these popular summer destinations to discover a variety of different ways to experience and enjoy summer in Australia! Although better known for its biting winters, Melbourne undergoes a startling transformation as it moves into summer. 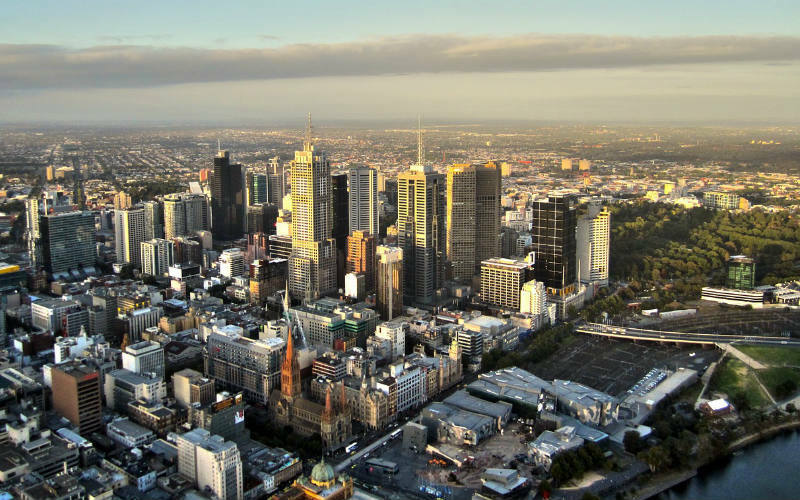 With very little humidity, summertime sees Melbourne blanketed in pleasantly warm temperatures that can last well into the evening – perfect conditions for enjoying the city’s vibrant culture and attractions. Explore the immaculate landscapes of the Royal Botanic Gardens, or plan a tour of Melbourne’s word-class restaurants and cafes. One of Melbourne’s biggest summer events is the Australian Open, a two-week tournament which draws international tennis stars (and a selection of promising challengers) to Melbourne Park. Throughout January, tourists and locals alike can be found soaking up the tournament’s electric atmosphere as it spreads from the packed arenas through nearby parklands. From mid-November until March, the Queen Victoria Night Market assembles a colourful array of food stalls, bars, and live entertainment on Wednesdays from 5–10pm. Pop-up food festivals, such as the Cider & Pork Festival at Flemington Racecourse, are also a familiar sight throughout summer. The Gold Coast suburb which is as famous as the city itself, Surfers Paradise is one of Australia’s most popular summer vacation spots. With skyscrapers overlooking a seemingly endless stretch of sand, Surfers Paradise balances cosmopolitan glitz with beachy informality. The city’s waterways are perfect for fishing, watersports and scenic cruises, while award-winning theme parks are just a 20-minute drive away. Start your visit at the SkyPoint Observation Deck, where you can take in panoramic views from an elevation of 230 metres. Afterwards, check out the shops and restaurants of Cavill Avenue, swim or sunbathe with the carefree crowd at Surfers Paradise Beach, and navigate a thrumming nightlife scene which embraces the good, the bad, and the gaudy. Held over five weeks in January and February, Seaside Sounds Kirra brings live music, face painting, food trucks and entertainment to the Kirra Foreshore. On Friday and Saturday nights, visit NightQuarter to discover an eclectic space filled with food stalls, fairy lights, bars, live music and boutique shops in repurposed shipping containers. Lastly, don’t forget the Gold Coast Food & Wine Expo or the Health Harmony Soul Expo; these three-day events receive an impressive turnout each year – albeit for very different reasons. 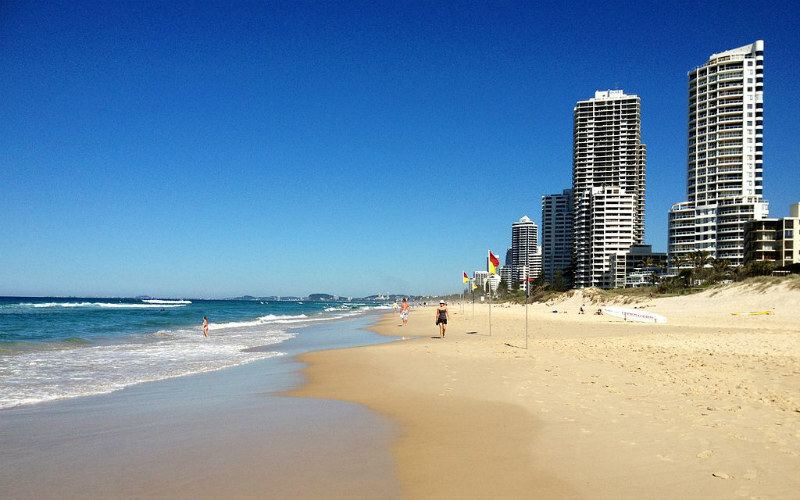 Surfers Paradise, Queensland. Image Credit: Kgbo / CC by SA 3.0. 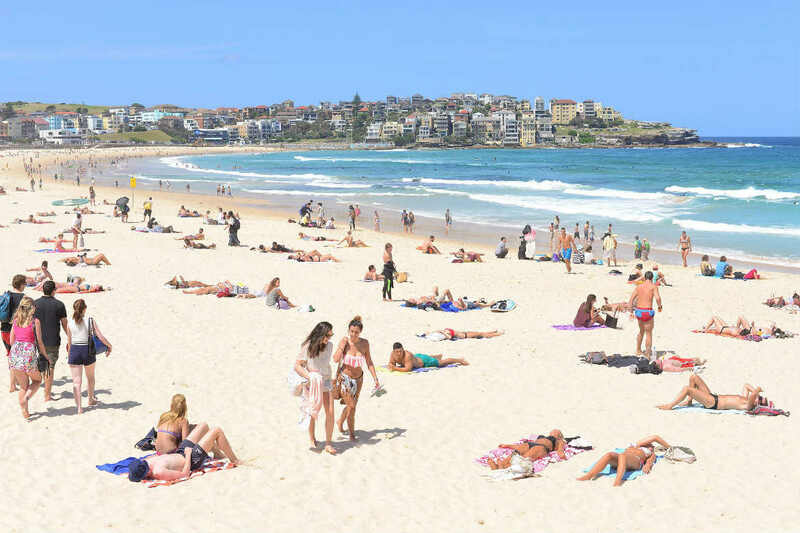 Australia’s largest city is popular all year round, but summer sees Sydney’s tourist numbers skyrocket. From iconic landmarks to world-class food and entertainment, Sydney has a lot going for it. However, one of the best things about summer is simply enjoying Sydney’s beaches and coastlines. Discover some of Sydney’s best scenery on the Bondi to Coogee Beach Coastal Walk, a 6km journey past cliffs, coastal parks and rock pools. Stop and unwind on Bondi Beach for that perfect holiday snap, or embark on a scenic ferry ride from Sydney Harbour to Manly Beach for quality surf and a relaxed, local atmosphere. Spending the summer in Sydney is the perfect excuse to join roughly one million spectators for Sydney’s world-famous fireworks display on December 31. For three weeks in January, Sydney Festival features a diverse program of more than 150 events celebrating the boldest and best in visual and performing arts. Then in February, Mardi Gras lights up the city with performances, film screenings, fun fairs, parties, and one of the world’s biggest LGBTQI pride parades. Sydney, Australia. Image Credit: Beau Giles / CC by 2.0. 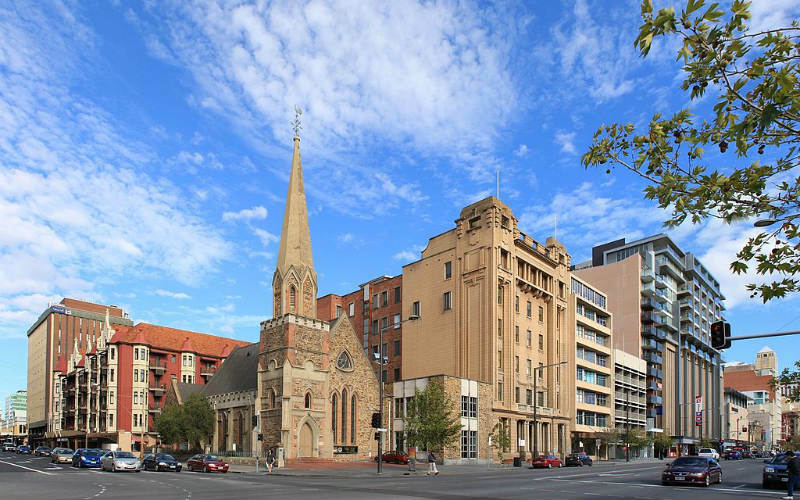 The city of Adelaide enjoys a moderate, Mediterranean-style climate. With the least rainfall of any Australian capital, and temperatures regularly hitting 30 degrees, Adelaide is surprisingly well suited to a summer holiday. Choose from a range of activities and entertainment at Glenelg Beach, or explore 50 hectares of stunning greenery and architecture at Adelaide Botanic Garden. If you’ve got some free time on your hands, explore the beaches, national parks and unique wildlife of nearby Kangaroo Island. Adelaide has launched a never-before-seen oasis for summer 2018. Located at Pinky Flat, Urban Beach is the hottest new place to swim, play beach volleyball, eat, practice yoga, or simply relax by the water with a good book. With summer also welcoming the Ebenezer Night Markets, the Beachfront Twilight Markets, Brighton Sunday Market and the Campbelltown Moonlight Markets (to name a few) to Adelaide, shopaholics will be spoilt for choice. And finally, check out Adelaide Fringe Festival’s showcase of visual art, comedy, music and dance over 31 days in February and March. Adelaide, Australia. Image Credit: Adam.J.W.C / CC by SA 2.5. 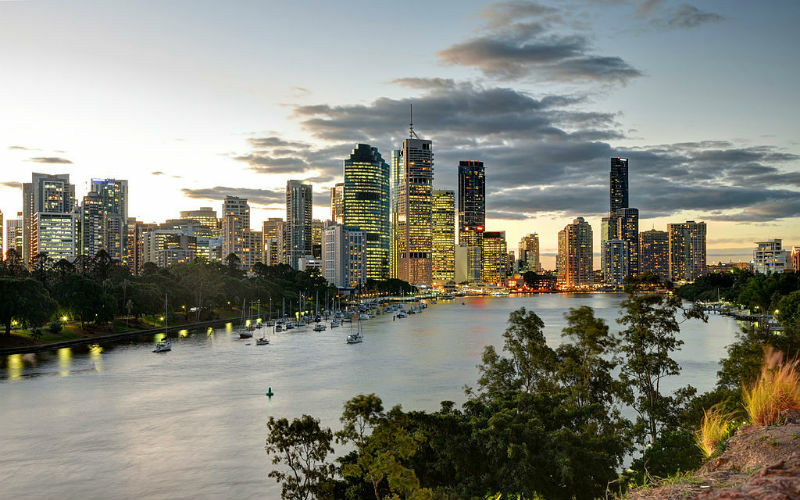 The largest city in sunny Queensland, Brisbane is a wonderful destination for a subtropical summer escape. Cruise along the Brisbane River on a CityCat ferry, and explore more than 6000 hectares of inner-city parklands and green spaces. South Bank is a favourite spot among locals and visitors alike, boasting a waterfront promenade, shops, and restaurants, as well as a Ferris wheel, a Nepalese pagoda, and a man-made beach overlooking the Brisbane River. With fantastic dining and state-of-the-art cultural spaces to boot, there’s something for everyone in Brisbane. Summer is sports season in Brisbane, with cricket, AFL, soccer and rugby matches drawing huge crowds to The Gabba and Suncorp Stadium. Watch the Brisbane International from a courtside seat, or make your way to the outdoor big screen and watch the tennis with a cold beverage in hand. Check out the schedule of gigs coming up for City Sounds – the largest program of free live music in Australia – or head north for an unforgettable week of festivities at Woodford Folk Festival. Brisbane, Australia. Image Credit: Lachlan Fearnley / CC by 2.0. Ready to experience the best of Australia this summer? 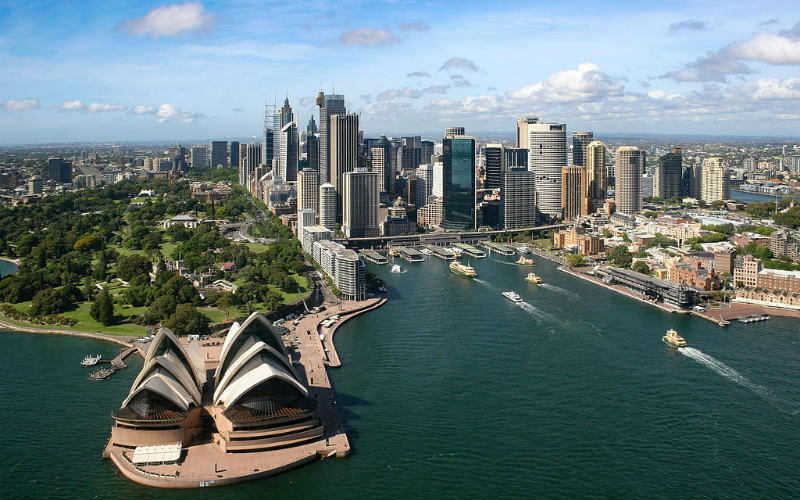 Book cheap flights to these fantastic Australian cities, and more, with Webjet! Feature Image Credit: Nicolas Lannuzel / CC by SA 2.0.